Christchurch’s premier steakhouse serving quality produce from right here in Canterbury. We’re taking the freshest ingredients from one of the purest places on earth and making it simply delicious. 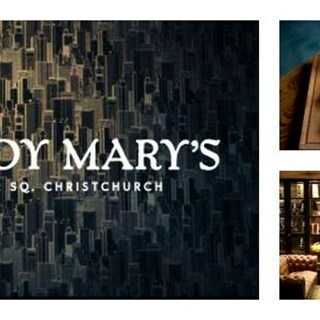 Bloody Mary’s boasts a full bar and impressive wine list with a broad selection of South Island wines. The grill serves choice cuts of Angus and Wakanui beef cooked to perfection, as well as a host of chef-inspired entrees and main courses that will delight even the most discerning palates. Enjoy tasty starters treat yourself to a variety of steak cuts for main and indulge in delicious desserts. Experience fine dining in a casual setting – the perfect pairing for your New Zealand vacation.